DJ Pierra Makena has opened up on an incident that left her scared to death while at a popular club in Nairobi. According to the DJ, she was busy talking selfies with fans when a man carrying a gun crushed their party and ordered her to follow him. She ran away to the bouncer for help. “I pretended that I had not understood him and looked away. I knew that if I acknowledged him or tried to decode his signal he would do something dangerous. I quickly made my way to the club bouncer who was nearest to me and stuck by him until I was safe. That is the day I learnt the importance of having tight security,” she said in an interview with Parents Magazine. Security The mother of one also confessed that she always attends club gigs with her own security just to be on the safe side regardless whether the club are providing security for her. “I always have two security guys in every gig I go to, whether provided by the club or myself. My small brother and personal assistant are always in every show to ensure I am safe,” she added. 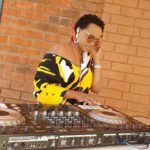 The post DJ Pierra Makena narrates how a gunman approached her while she was taking selfies at a popular club appeared first on Ghafla! Kenya.